In 2003 New Life Fellowship began distributing Thanksgiving baskets to hundreds of needy families in the Terre Haute area. Recognizing the growing need we converted a small building into a food pantry and began distributing food to the community. Today, New Life has built a new 40 foot x 50 foot food pantry designated to feed the hungry of our community. This building has been completed in the style of a regular grocery store as items are distributed to individual with respect and care. Semi docks, multiple freezers and a spacious warehouse enable us to process a large quantity of goods, quickly and conveniently. A volunteer staff of over 60 dedicated individuals help to maintain and distribute food to the community. We are a USDA Certified “Choice” Pantry, which means that individuals can shop for the foods they desire. 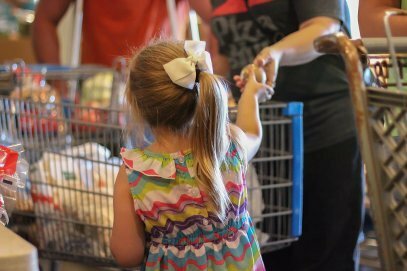 In addition, our pantry provides other programs to help meet specific needs of children. The mission of Compassion Ministries Food Pantry is to provide nutritious food to individuals who struggle with hunger and promote public awareness about the growing hunger problem. The food pantry provides nutritious food to families who struggle with hunger. This pantry is a privately funded organization that exists through the generosity of groups and individuals. Our ability to provide food is completely dependent upon donations from individuals, local businesses and community organizations. 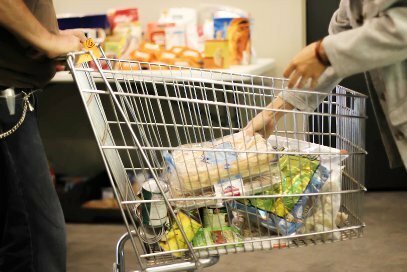 Donate Food - Whether it is a few cans from an individual or a large donation from a corporation, every food item makes a difference. Food items can be delivered to our Food Pantry warehouse in Terre Haute by calling 812-281-2667. Donate Time - We welcome individual and group volunteers. Please call to schedule your volunteer time. Host an Event - We welcome you to host an event or food drive to collect food items for the pantry. Plant a Row - We encourage community gardeners and farmers to plant extra crops for donating to the pantry. Donate Money - Your monetary gifts immediately help us in our mission to provide nutritious food to people in our community. Monetary donations allow us to be selective in our food choice, guaranteeing nutritious and filling meals. Your regular support to our pantry is much needed and greatly appreciated as it allows us to continue these necessary programs in our community.